Every day you juggle taking care of the kids, the house, the bills…don’t let medical expenses add to your worries. 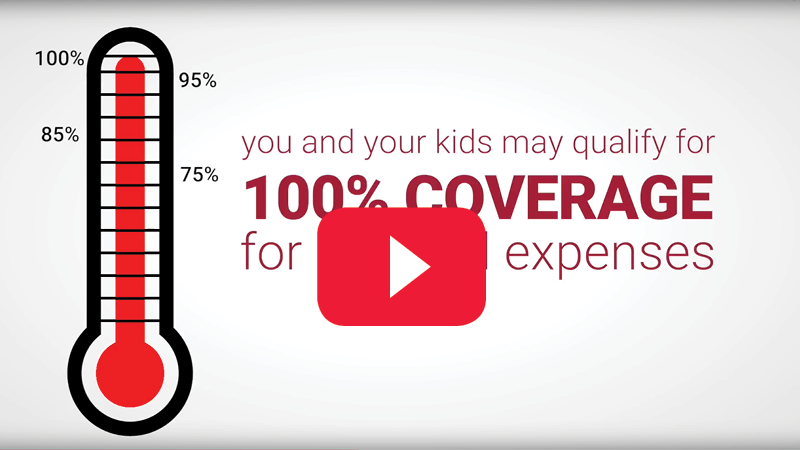 With a CHAMPVA Supplemental Insurance Plan, administered by SelmanCo, you and your children may qualify to get up to 100% coverage* for covered medical expenses. This is a solicitation for insurance. Your response may generate a communication by a licensed agent. *A CHAMPVA Supplement Insurance plan, when combined with CHAMPVA benefits, helps reimburse family members for the costs not covered by CHAMPVA. After the CHAMPVA deductible is met the plan will pay your cost share for both covered inpatient and outpatient medical expenses after you satisfy the calendar year plan deductible of $200 per person, $400 family maximum. This includes office visits, inpatient visits, pharmacy costs, lab services, and durable medical equipment from a non-VA source. People who are enrolling in CHAMPVA Supplement Insurance must: Be covered by CHAMPVA; Provide their CHAMPVA sponsor’s demographic information; Be/become a member of the sponsoring organization to get a CHAMPVA Supplement insurance plan. CHAMPVA Supplement Insurance Eligibility: Eligible Spouse: “Spouse” means your spouse who is under age 65 and a CHAMPVA benefits recipient, but not a spouse from whom you are legally separated or divorced. “Spouse” also means widow(er) if he or she is a member of VFW. Eligible dependents and unmarried children may also enroll. Pre-existing conditions will not be covered until the coverage has been in effect for 6 months. Benefits related to new conditions will be covered immediately. CHAMPVA Supplement insurance plan is subject to plan deductible, exclusions and limitations. See the certificate of insurance for complete plan details. The CHAMPVA Supplement Insurance Plan is administered by Selman & Company and underwritten by Transamerica Premier Life Insurance Company (TPLIC) (Cedar Rapids, IA) and Transamerica Financial Life Insurance Company (TFLIC) (Harrison, NY) for New York residents. TFLIC is authorized to conduct business in New York. TPLIC is authorized to conduct business in all other states. Policy forms MLTRC1000GP and TFTRC1000GP may vary by state.